We all know Rahul Dravid as one of the best and cool person in the world. During his cricketing career he was called as "Mr. Dependable" & "The Wall". If you can't get along with Dravid, you're struggling in life. Dravid Could play attacking cricket like me but i could never play like him. Once Shahid Afridi was asked for his Favourite Player and He says "Rahul Dravid"
Try to take his wicket in the first 15 minutes, if you can’t then only try to take the remaining wickets. Even though Sachin is great, I have always found Rahul more solid and hard to get out. Rahul Dravid is a player who would walk on broken glass if his team asks him to. If I have to put anyone to bat for my life, it’ll be Dravid. 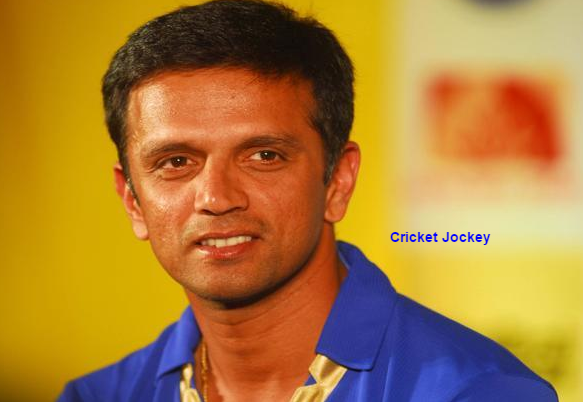 He (Dravid) is a perfect role model for youngsters. He has set a great example for all of us to follow. We are all trying to follow that path. Team in trouble? Whom do you turn to? Rahul Dravid! All this going around is not aggression. If you want to see aggression on cricket field, look into Rahul Dravid’s eyes. I’ve seen how Rahul goes about his innings & that’s something I want to get myself involved with.